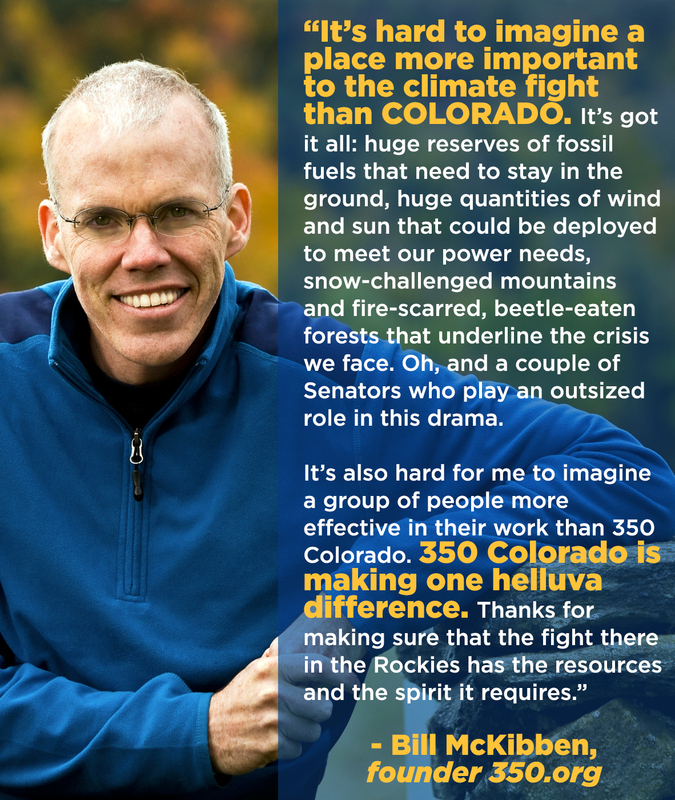 Be a Climate Champion – Give Monthly to 350 Colorado! The easiest way to make a positive difference every day. Donate monthly to invest in a just and equitable transition off fossil fuels. THE CLOCK IS TICKING. With just 12 years to act on climate, 350 Colorado is working nonstop to promote a just and rapid transition off fossil fuels to renewable energy. THE TIME IS NOW. Your monthly contribution will give us the resources we need to manage long-term campaigns and ramp up quickly when opportunities arise. With your support, 2019 will be our biggest year yet with more staff, stronger campaigns, better volunteer training, a powerful legislative presence, effective education, and bigger actions. Access to exclusive donor reports. Receive quarterly updates on how your donation is being used & ways to stay involved. Reduced donation emails! As a monthly donor, you will receive fewer emails during our mid and end-of-year fundraising campaigns! Peace of mind! When you become a monthly donor, we take the work out of donating. You can make a difference every day without having to think about it. What kind of action will your donation fund? Check out our 2018 recap video to see what we have been up to! Why give monthly? Hear from our committed climate champions! Already a monthly donor and need to make changes to your donation amount/payment info? Complete this form!